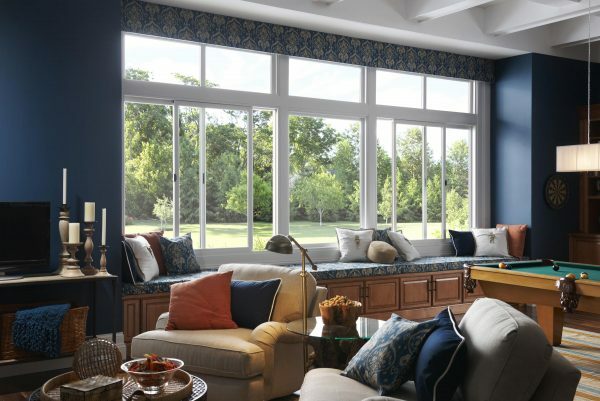 At Charles Window we work with many homeowners who want to replace their windows. They generally have many questions but the first is often: How much do new windows cost? Of course the answer varies based on a wide range of factors. Here are four factors that will have a big impact on how much it will cost. If you then want a free consultation to find out how much your new windows would cost, reach out to Charles Window right away. One of the biggest factors in how much your windows will cost will be the type of windows you choose. The most expensive options will have features such as being extremely energy efficient. There are also more affordable options that provide good energy efficiency as well. We can learn more about your budget and let you know which options will work within it. Some installations are harder than others. Consider this: Windows that are installed in new homes have nothing in the way and are straightforward. Compare that to replacing an older broken window, or a window that’s in a tight space. These are more complicated installation processes and may cost more. The bottom line is that there are certain months of the year that are much busier than others. This doesn’t have to raise the cost of your installation but if you need a rush installation during these months then you may be looking at a higher price. Note as well that it is likely that window installation companies will offer specials and discounts during less busy months of the year. Of course, the company you choose will have a big impact on how much you will pay. You do not want to pay too much but remember that the cheapest option may be cheapest for a reason. Look for a company like Charles Window that has years of experience, charges fair rates, and has positive references you can look at. Every window installation is unique and the best way to know what it will cost you is to contact Charles Window for a free consultation.